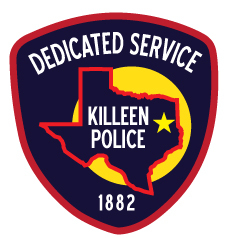 In the early morning hours on Tuesday, July 17, 2018, Killeen Police Department responded to a rural area in west Bell County to assist the Temple Police Department with the discovery of a deceased male. Support and investigative assistance was provided by the Killeen Police Department’s Criminal Investigation Division and by deputies with the Bell County Sheriff’s Department patrol division. Killeen Justice of the Peace Bill Cooke was notified and responded to the scene where he ordered the body transported to the Southwestern Institute of Forensic Science (SWIFS) in Dallas for autopsy and positive identification. On Wednesday, July 18th, SWIFS identified the deceased as Hasson Lindsey, Jr., 21, a Killeen resident who had recently been reported missing. His death was ruled a homicide. This afternoon, Temple Detectives presented the case to the Bell County District Attorney’s Office. The case was accepted and a complaint was issued charging Oklahoma resident, Raymond McKinnon, 26, with the murder of Hasson Lindsey, Jr. That complaint was reviewed by Justice of the Peace David Barfield, who issued a warrant for McKinnon’s arrest and set bond at one million dollars. This is an active and ongoing investigation. Any further requests for information surrounding this incident can be directed to the Temple Police Department.